If you plan to make the most of your trip, wherever your adventures might take you, you ought to consider getting an optical instrument. We might recommend a telescope seeing how it is one of the most popular types of products in this line, but we do understand that some models aren’t intended for all kinds of consumers. First off, telescopes are made for two purposes. Some can be used for astronomical observation, and that’s the case of most that you will find available for sale these days. Others, on the other hand, are specifically designed for terrestrial observation. Therefore, if you’re going to have a safari trip, you might want to get a handheld telescope for looking at gazelles, lions, and any other animal you might encounter, and you might not be able to see because of the distance you’re located at. Many handheld telescopes boast great and user-friendly features, but some users argue that for such purposes, a pair of quality binoculars is better. We couldn’t argue with this logic seeing how binoculars are, without a doubt, winners when it comes to terrestrial viewing. There are even models that are designed for celestial observation, too, but most such binoculars do not have the ability to magnify planets, stars, or various other astronomical bodies with the same efficiency as a real telescope. 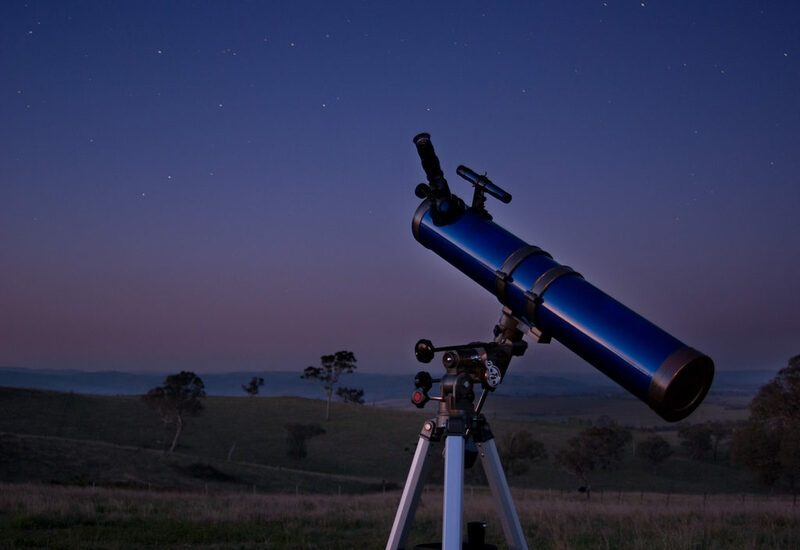 Now that we have established that using a terrestrial telescope is obviously useful when you’re traveling, let’s see why doing the same with a unit developed for celestial observation is just as convenient. For one, you can’t look at the sky when you’re in the center of a city because there’s a whole lot of light pollution you can’t get rid of. As such, you need to get out of town and look at your favorite celestial objects only when there’s little to no light in your proximity. This is one of the main reasons you ought to bring your telescope with you if you want to look at the sky while you’re out of town. There’s an ongoing debate as to whether or not it’s better to choose optical quality over portability or the other way around. As is the case with most other devices you might ever want to try out in the future, you ought to understand that bigger is typically better. A good article on Meade telescopes can be found here, if you’re interested in learning more about them. Bigger mirrors and optical components will enable you to look at more types of celestial objects either because the aperture is greater or because you have a larger field of view. Portable telescopes do have to make a sacrifice when it comes to image quality and even magnification. So, in a way, it only makes sense getting a portable telescope if you plan to use it for terrestrial observation. You can always watch the sky from a field nearby your home or near the town you live in. And believe it or not, it looks the same from practically any place in the world where you might be located. You just have to adjust your schedule so as to be able to see several specific celestial objects.